Lin-Manuel Miranda tells the story of Alexander Hamilton, his enemy Aaron Burr & their infamous fight to the death. The story of how Mary Shelley wrote Frankenstein. 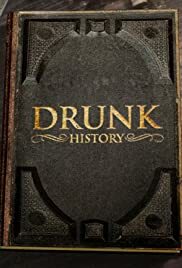 How many episodes of Drunk History have you seen? as my summary states, unfortunately on my own behalf... i can attest to the multitude of drunken states of our narrators. i am and always have been (at least of the comprehensible age) been "that drunk guy". the thing that makes me love this show so damn much, the drunker i get... the smarter i feel, the more i know, the absolute truth comes from deep within. i get a good giggle out of the naysayer that claims "oh it's staged", i might be a drunkard but i am not naive. sure enough the script is read in a relatively sober state, and drunken context is added. right up until "the i'm feelin' so good, it's bad" state of inebriation. i do not doubt for a second if a gentlemen showed up with a quality fifth of scotch, asked me to polish it off and then "read this" that i would more than likely spit out some quality comedy gold. this show, with the wonderful acting and pantomiming is without a doubt the funniest show on TV. it will only gain in greatness if, and when, it branches out into the international circuit of this amazing planet. just imagine the wonderful accents! cheers my friends, drinks up to a good evening.